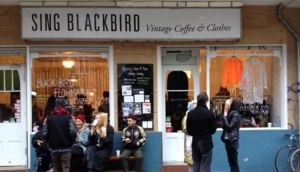 For an extensive range of everything vintage in Berlin including clothing, shoes, jewellery and accessories, hit a local flea market or a vintage clothing shop. The vintage scene is big in this city and My Destination Berlin has a list of the best vintage and second hand shops around Berlin. Visit them all and stock up on classic Berlin vintage to show off when you get home. From retro all the way back to bordering on antique garments from the early 1900’s, this city has fashion imbedded in its history.